And what does this mean when it comes to other campaign “promises” made to The American People like tax reform, the wall, bringing back American business and removing illegal aliens? It really shouldn’t have been difficult. 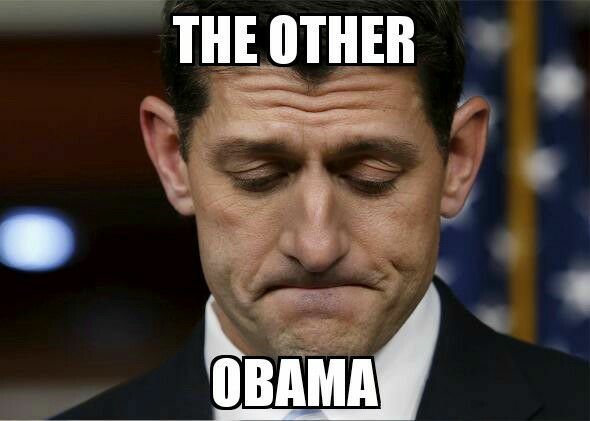 All you had to do was to fulfill the promise that you made when running for Congress and REPEAL Obamacare. It was not as if this day wasn’t coming? After sneaking Obamacare through in literally the dead of night, the democrats learned a valuable lesson on stupidity and the resulting payback from it when they lost the House. Give us the Senate, chimed in republicans and we’ll repeal it. After numerous attempts to do so we are told that they cannot do it. Give us the White House and we’ll repeal it. So, after gaining majorities the House, Senate and the White House, everything was in place for a quick (and ridiculously easy) repeal. How hard should this have really been? Congressional republicans have been sending up Obamacare repeal bills numerous times, only to have Pres. B.O. veto them. It’s not as if he was going to get rid of his signature achievement despite all of the evidence to the contrary that things were going to implode. Bottom line; there was a huge pool of source material for republicans to draw upon. At the beginning of this session of Congress, various committees were tasked with drawing up legislation to actually carry out eliminating Obamacare once and for all. So, to argue that republican “leadership” was unfamiliar, or unprepared, with what needed to actually be done to actually repeal Obamacare…that dog won’t hunt. But things started to look bad. Nothing was ready after President Trump was sworn in. Nor were they ready anytime in January. Then we began to hear rumblings that something was ready. This was despite not holding any committee hearings or any meetings whatsoever with caucus members to hash out any details or address any concerns. As a matter of fact, the very existence of it was literally under lock and key until Sen. Paul began to make a mockery of republican “leadership” by taking reporters on a wild goose chase around the various office buildings surrounding the Capitol in order to read a copy for himself. Then we found out why. But, this is NEW & IMPROVED! Better than Obamacare. Ryancare had all of the hallmarks of Obamacare. “Essential mandates” (including things like contraception, mental health and substance abuse)? Still there (Gov. Snyder was happy about THAT one)! Now why would Congress want to address that? Once the proverbial cat was out of the bag, things went sideways…and quick. The Freedom Caucus wanted nothing to do with Obamacare v2.0. “Moderate” republicans (aka Squishies…including MANY from here in Michigan), wanted nothing to do with “taking away” coverage. I’m still at a loss on how you can give away something that didn’t belong to you, nor did you have any authority to do so in the first place, but I digress. Why would they wants their hands on this train wreck? They all just sat back and enjoyed the show. Republican “leadership” attempted to spin what was out there by claiming that this was the only way that it could be done. Never mind instructing the Parliamentarian to make a more favorable decision regarding the process of forwarding the legislation. Never mind the fact that a budget bill can be done strictly through the reconciliation process to immediately defund Obamacare and by using the “Nuclear Option” to effectively shut out any democratic opposition. No, we won’t be seeing any of that. Phases “Two & Three” would be immediately following to remedy any concerns raised from caucus members. So, this past week we saw votes being scheduled (and delayed). The Whips went around taking headcounts. Things weren’t looking good. President Trump called members in for a meetings, including one last Friday that literally blew up in his face along with steeling the Freedom Caucus member’s resolve for ultimately voting “no“. Steve Bannon really needs to work on his motivational skills. Friday afternoon after conferring with other republican “leaders”, the decision was finally made to pull the bill and that no vote would be taken. Team “d” was giddy. Progressives were happy and republican “leadership” was left looking impotent and inept. Now, just so that there isn’t any confusion here, I’m not directing any blame at President Trump. He is just doing what his management style has dictated in the past, delegate the task to your subordinated (i.e. Speaker Ryan) and turn them loose to accomplish the task. I am directing blame for this spectacular screw-up solely at the one individual who has been touted as an “expert” on Capitol Hill: Speaker Paul Ryan himself! For reasons I’ve indicated above, this bill not only should’ve literally been a cakewalk, but it should’ve been done way back in January. If this foul-up cannot accomplish a simple task by dusting off an old piece of legislation, making the necessary changes in language and resubmitting it, then how will he go about doing the other things republicans have been promising the American People? Does anyone honestly expect Congress to accomplish anything that involves doing real work? 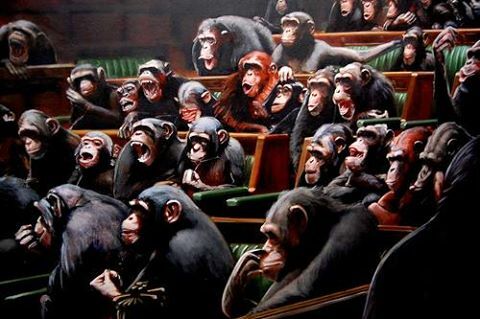 Yes, this just about sums up nicely the actually capacity of Congress to get anything done. RINO Rick played a major role in rescuing Obamacare. ObamaCare was written by and for both the insurance companies and the hospitals. It was not an attempt to improve health care or its affordability. It was about providing new, sub rosa revenue streams to insurance companies and hospitals. 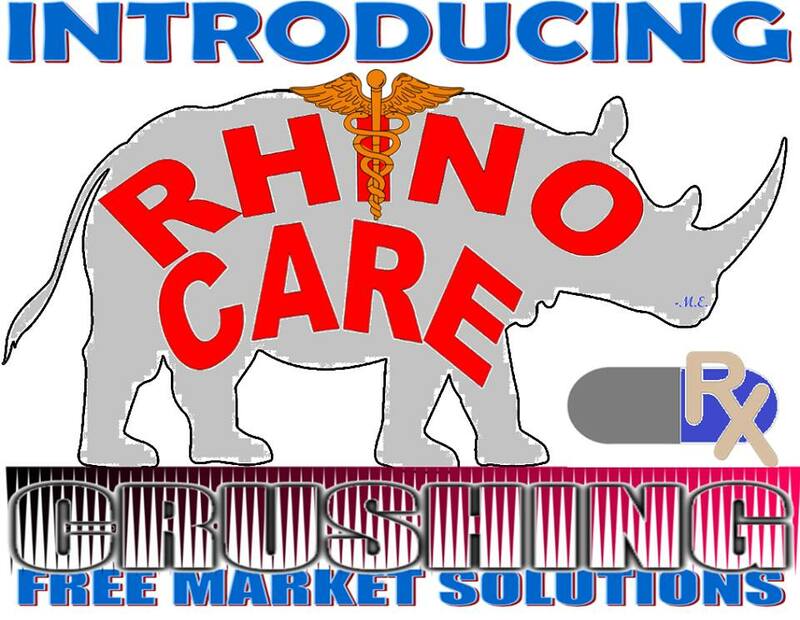 RynoCare was written by and for the insurance companies alone. Hospitals were opposed. RINO Rick is owned by the hospitals, among others. Ultimately, Team Insurance did not have enough well owned legislators to overwhelm Team Hospital. Flesh and blood Americans only had the Freedom Caucus, which was in a distant third place.